i know, i know, totally not PC, right?! but seriously, 5 years of walking through the same set of doors every day and that was probably the best laugh i’ve ever had on my way in!! maybe in other countries the revolving doors really do go the other way?! 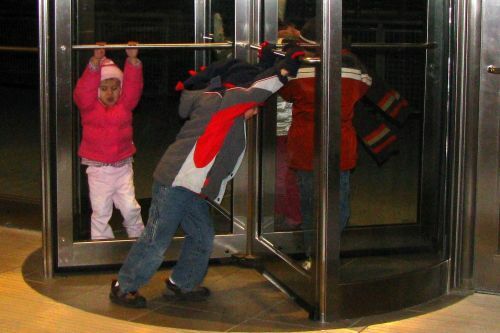 In right hand traffic countries, revolving doors typically revolve counter-clockwise, allowing people to enter and exit only on the right side of the door. 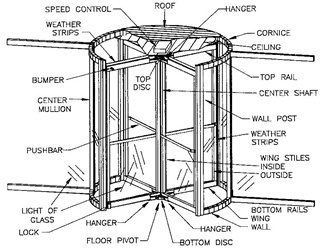 In left hand traffic countries, such as Australia and New Zealand, revolving doors typically revolve clockwise. Door rotations in England vary.